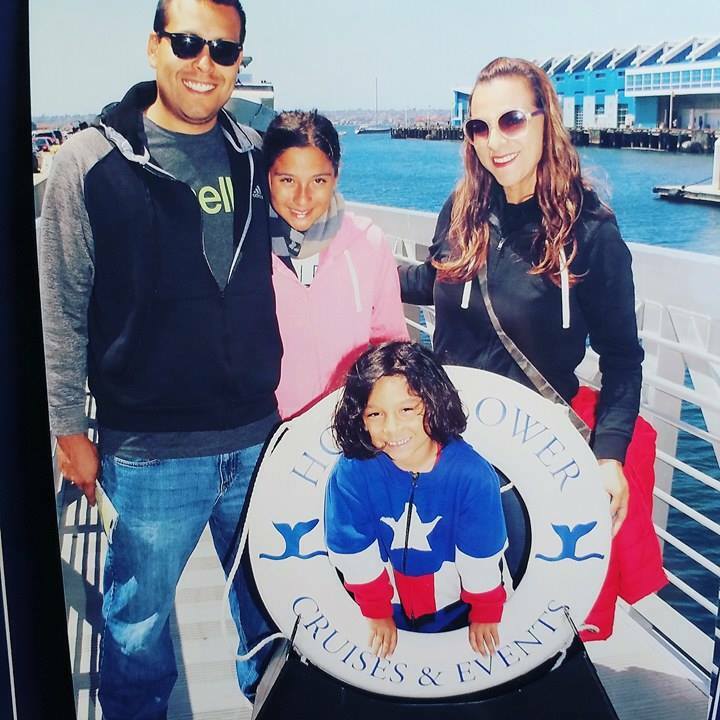 Hornblower Whale Watching Brought More than Ocean Views! You never know what to expect out on the open ocean & we are to grateful to Reserve Direct for working with us so that my family could experience more EduFun on our trip. Hopefully you checked out our first recap on our Low Key EduFun here.. I broke down the fun so that I could put tips and highlights in each newbie experience. Being super excited to board the Hornblower, we arrived a bit early to check in, get in line and take some photos. I suggest doing this as well - there is just so much beautiful scenery around you in San Diego the photo opps are everywhere! 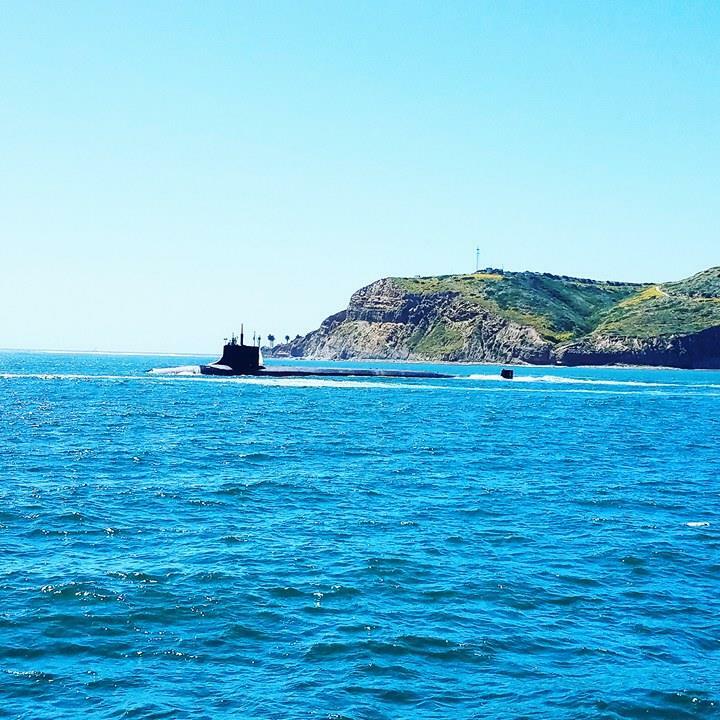 As the Hornblower was heading out of the harbor we were greeted with the most amazing view of an active LA Submarine being led out of the harbor as well. At the same time we were able to see an active War Ship coming into the harbor and as the two passed one another we had to wait for clearance. Such a rare & cool thing for my kids, well all of us to see. It took us over an hour to get out of the harbor and that's double the time it usually does. The waves were not making it easy but the Captain and crew sure tried to get us out to open waters but for safety we had to turn back. I am so grateful that the crew of The Hornblower is experienced and wanted us all safe. We totally enjoyed the choppy waters and it was even putting my daughter to sleep but others on the boat were not having as great of an experience, so best for all to have turned back. They did feel bad and have us all return tickets to come back for another trip out. Hornblower offer many different tours and cruises out to sea. 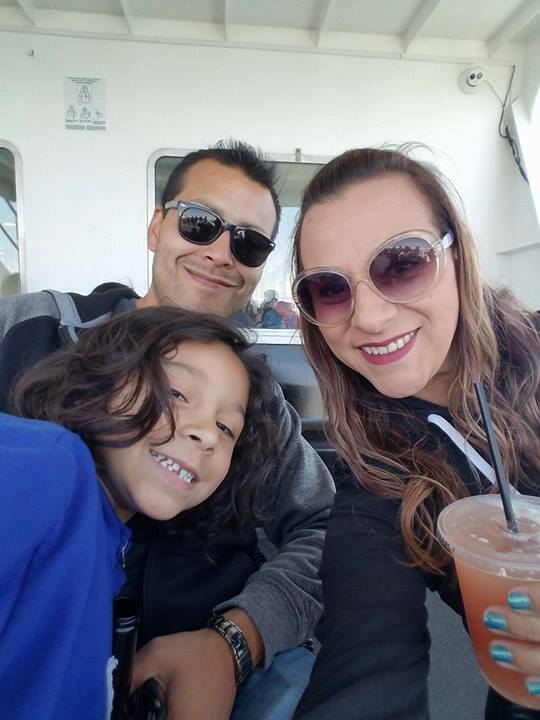 We did the Whale and Dolphin 3.5 hour watching tour but there is also a 1hr and 2hr Harbor tour that is perfect for smaller kiddos or older family that can't be out for 3.5 hours that can still enjoy the views and fresh ocean air. 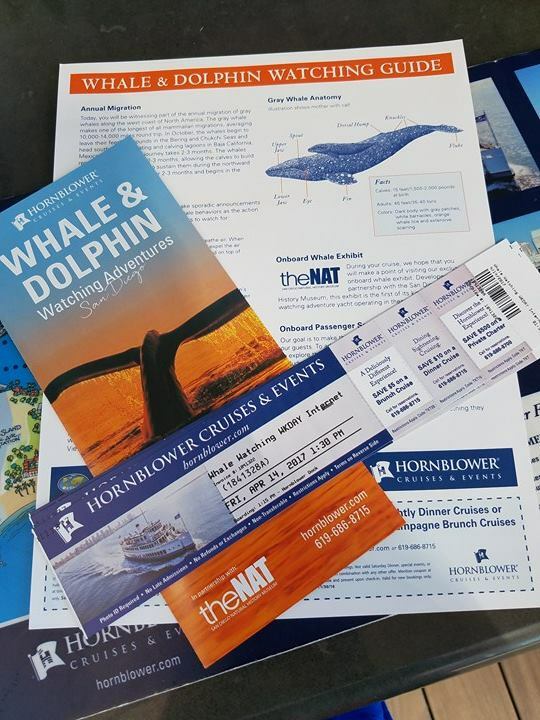 We can not wait to head back to check out the 2 hour Harbor tour and re-do our whale watching. 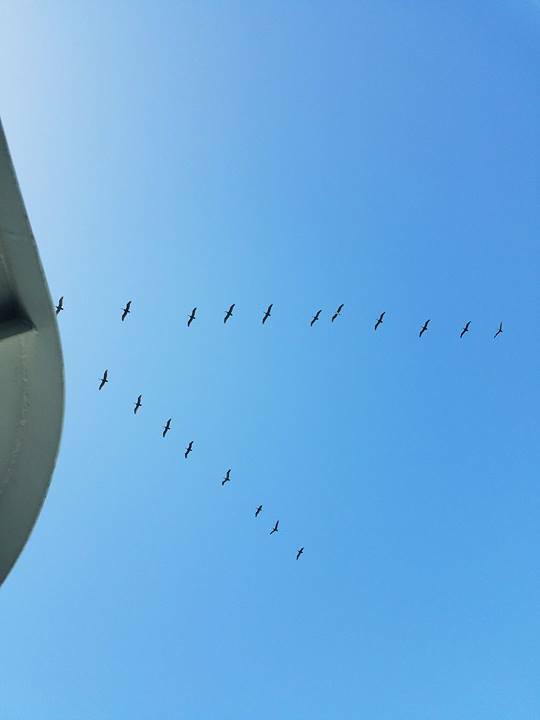 Watch the seasons on that as the migration has almost concluded for now until November I believe. I was getting the low down from our Whaler experience Jen! * Arrive early, line forms fast and you want to get the spot in or outside the boat that you'd like. The outside top is best viewing but can get cool & windy. The middle outside is not as windy and a great view too. The middle inside is indoors and looking out through windows, still a good view just need to look from side to side. The bottom 3rd level is all indoor and air conditioned so you can sit and see through the windows too. * There is a Marine specialist ... a Whaler on board and ours was amazing. Jen was volunteering when we were on board and she must have answered 25 questions from Mikey. She was awesome. 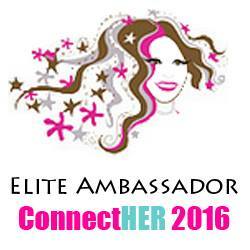 Knowledgeable, passionate about it and so informative for both adults and kids at each level of explanation. Loved that! * You can buy snacks and drinks on board! Sometimes our tummies need that, we also brought a few things with us u knew would help but we didn't need them at all! We actually enjoyed the motion of the boat on the ocean. * Listen to the crew. 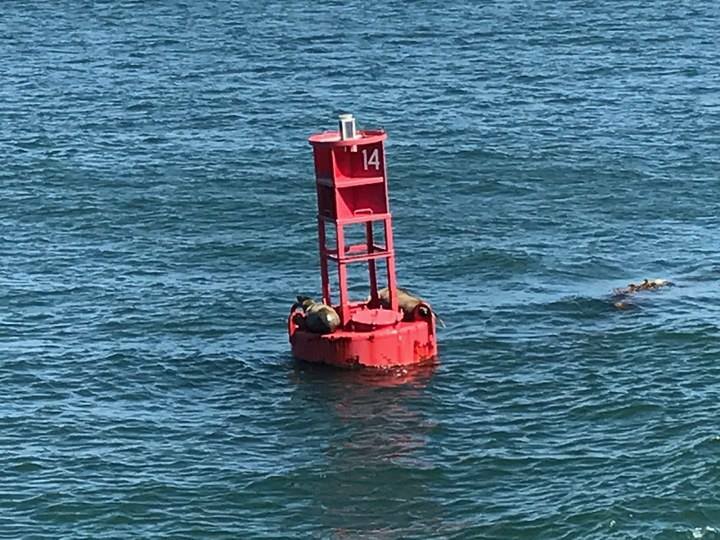 If they say the water is choppy and a bit harsh and they suggest Dramamine or anti nausea meds and you know you may need them... take them. They advise it takes 30 mins to get out of Harbor and 30 mins for the meds to kick in. This is a big one to listen to... once more cause I felt so bad for those that did not listen.. * Hot Tip * They are really good about advising those who may need it to please take their nausea meds... please do listen. * Do not use the restroom if you get sick. It creates more sickness for the one sick and others can use the restroom. There is help and little bags if needed. * Wander Around when SAFE to. 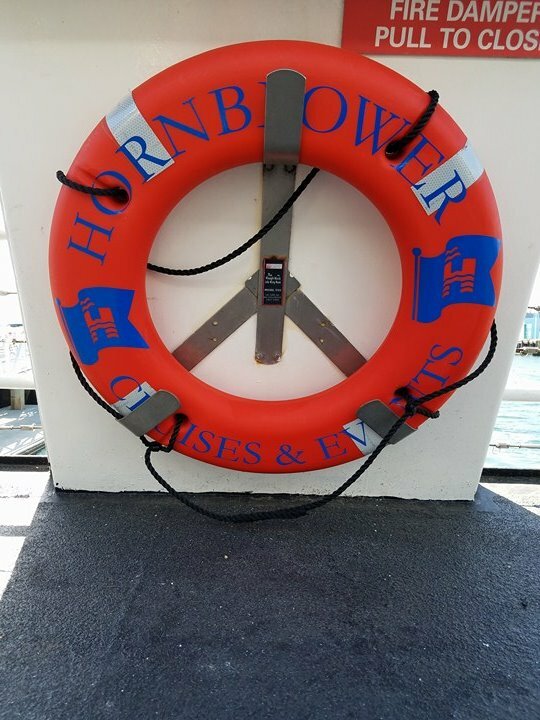 The Hornblower is huge so check out all levels when it is okay to walk about. The views from inside and both sides are fantastic while listening to the tour on the way out of the Harbor too. See our video recap here! 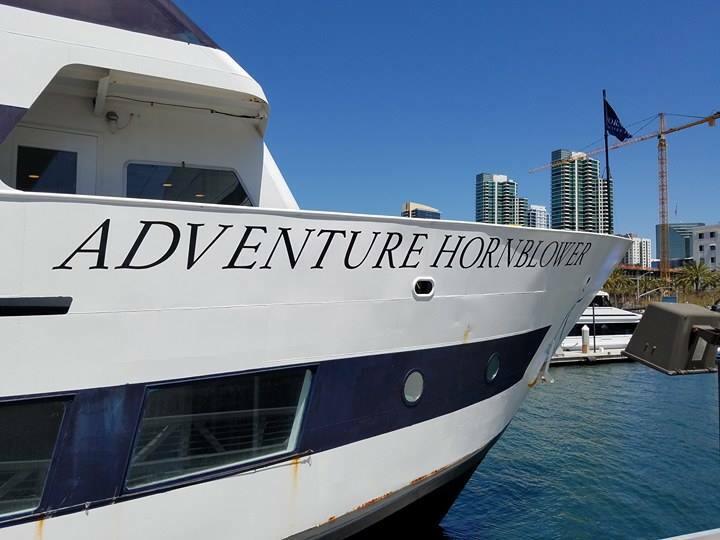 Great job everyone on board the Hornblower San Diego, we will see you soon, can not wait. 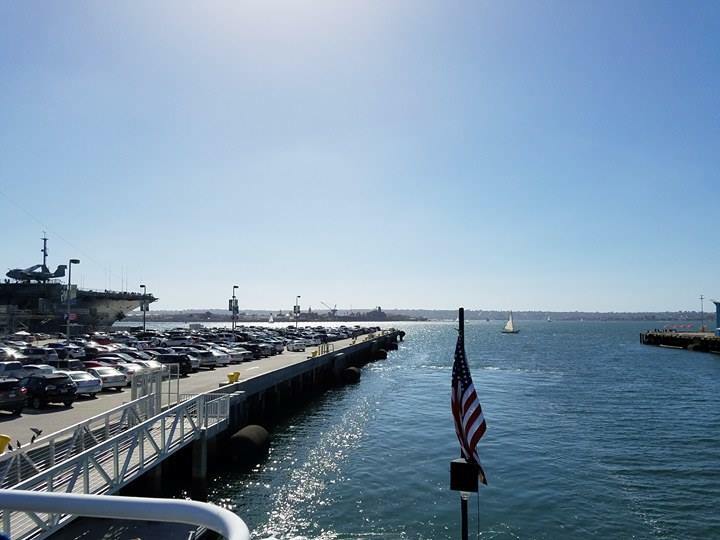 Thank You to Reserve Direct, San Diego Tourism, Seaport Village, Hornblower, USS Midway and Crowne Plaza for assisting and or hosting us and shout out to Reserve Direct for another round of easy booking on this wonderfully edufun filled mini vacation.